This print captures all of the beautiful colors of this vintage wallpaper and vintage childrens reader in background. 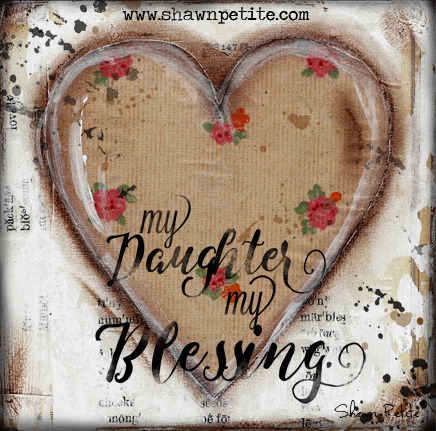 This piece is perfect for your daughters room or for a gift. Mounted on 3/4 "wood substrate with sides and back painted black with key hole on back for hanging. Signed and sealed with a soft gloss sealer.